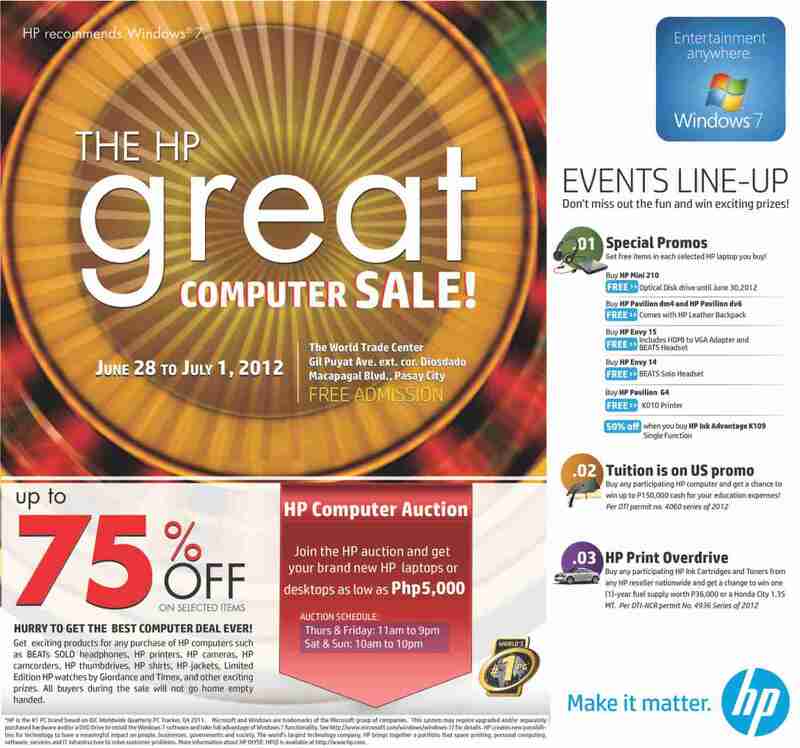 Are you looking into buying HP computers anytime soon? Hold on to it for a couple of days. I invite you to the biggest HP Great Computer Sale happening on June 28 to July 1, 2012 at the World Trade Center, where you can get the best computer deals ever. Free admission for everyone! The event is open from 11AM to 9PM on June 28-29, and from 10AM to 10PM on June 30-July 1, For more information, check out the poster above. how much is one with intel cor i7?